A much-needed smile or laugh. A way to connect with friends and family you don’t often see. A place to spread the word about your business, talent and skills. A resource for home improvement, parenting, travel and entertainment ideas. A source of tension, conflict and disconnection in your relationship. For all of the wonderful things that Facebook has brought into our lives, it can also potentially bring a lot of problems to your love relationship or marriage. If you or your partner tends to get jealous easily or if trust is weak or your connection is strained, Facebook can seem to blow these challenges up and make them even bigger and more difficult to deal with than they already were. Some people cancel their Facebook accounts for this very reason. They don’t want to deal with the headache and potential for jealousy and heartbreak because of misunderstandings or assumptions. Others continue to use Facebook, but hide some of their online interactions from their partner. Even if they aren’t doing anything inappropriate, they worry about what their partner will think. This only breeds suspicion and mistrust. Yet others go ahead and post, comment and poke other people on Facebook without realizing the possible negative effects some of their behavior, like flirting, is having on their relationship. They can’t figure out why their partner is giving them the cold shoulder, is angry about “nothing” or is somehow pulling away. It isn’t Facebook’s fault that problems are developing or getting bigger in relationships. It’s not Facebook, it’s how people are using Facebook that’s leading to tension, arguments and sometimes even breakup and divorce. For some couples, love dies partly because of what happens on Facebook. You don’t have to cancel your account and swear off Facebook (unless you want to). If it’s something you enjoy, it can provide valuable information, networking and entertainment. #1: Stay awake and always get the facts first. We aren’t going to pretend that people don’t have online affairs and that social networking isn’t one means for those who are cheating. It happens. Always, always, always stay awake in your relationship. 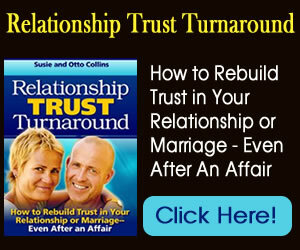 If you notice unexplained and significant changes in your partner– especially how he or she treats you– pay attention. If you realize that your partner’s words and actions just don’t add up– pay attention. Pay attention, but don’t jump to conclusions. If you see a post or comment having to do with your partner and you feel suspicious, it’s NOT time for accusations, it’s time to review the facts you have. Get reliable information so that you can make a decision about what (if anything) is really going on. #2: Make sure you and your partner make time to connect. When is the last time you and your partner laughed together? When is the last time you two held hands or had a heartfelt conversation? If it was more than a few days ago or you can’t remember, let this be your cue to take some action. One great way to prevent Facebook from causing problems in your relationship is to make sure you are nurturing the kind of connection you want with your partner. This means that the two of you make regular time in your busy schedules to connect. Connecting time can be fun, silly, passionate, serious, intellectual, athletic, musical or even lazy. The point here is to DO meaningful things together. #3: Be aware if you use Facebook as a way to numb out. We all get stressed out, upset or overwhelmed by life occasionally. Trying to escape stress or emotional upset seems to be a common human reaction. The drawback to attempting to numb out or run away from what’s uncomfortable, oppressive or painful is that it doesn’t make the initial stressor go away. In fact, it usually gets more intense. The internet is one way that some people try to escape from what they don’t like or find upsetting about their lives. When you’re “plugged in” and trying to avoid stress or emotional pain, you are utterly unavailable to your partner. He or she can’t support, love and help you when you’re numbed out and this puts distance between the two of you. Recognize it when you’re using Facebook as a means of escape and ask yourself if this is truly serving you (and your relationship). #4: Don’t over-analyze your partner’s posts and comments. You can spend an immense amount of energy and you can create an immense amount of heartache when you over-analyze the posts your partner puts on Facebook or the comments he or she makes on other’s posts. Stop trying to figure out what your partner “really” means. Instead, take what’s posted at face value. The vast majority of people type a thought and hit return within a few seconds. Most don’t stop and re-read (or even think much about) what they’ve written before putting it out there to the Facebook world! Remember this when you come upon something your partner posted and your mind tries to make more of it than what it is. #5: Use Facebook in a way that will strengthen (not tear down) trust. Be honest. If your partner has a jealousy habit, don’t hide the fact that you IM’d with someone– especially if it is an ex! You don’t have to give away all of your privacy in order to be transparent with your partner. Just be open about what’s going on. If your ex contacted you on Facebook, you can be upfront and tell your partner what you two talked about. If someone posted something on your wall that seemed flirty, you can let your partner know how uncomfortable you feel about it. If you have doubts about a post, comment or other action you’re about to take while on Facebook, ask yourself how you would feel if your partner were sitting right there with you. Would you still say or do that? #6: Don’t take it personally if Facebook isn’t as important to your partner as it is to you. For some, the trouble isn’t what the person’s partner does on Facebook, it’s what he or she does NOT do! Social networking isn’t everybody’s thing and this could be the case for your partner. If he or she doesn’t send you romantic virtual “gifts” and never pokes you back, don’t take it personally. If your partner hasn’t taken the time to update photo albums with pictures of the two of you and even if your partner hasn’t changed his or her relationship status to “in a relationship,” don’t assume that means you aren’t loved. As we suggested above, stay awake. Pretending to be single online while actually in a relationship in real life can be a warning sign– but not always. Some people fill their time in other ways and truly don’t care what their profile picture is or what their bio and status says about them. #7: Don’t use Facebook as a place to complain about your partner. Remember our tip above that you shouldn’t post or comment something that you wouldn’t if your partner was sitting right there with you? This is especially true when it comes to your gripes and complaints. It may be that your partner forgot your anniversary, said something disrespectful or did something to hurt you. YES! Address this with your partner, but don’t use Facebook to air your grievances. You can be honest in your status updates without dragging your partner through the public “mud” for whatever it is he or she did (or didn’t) do. Know that complaining about your partner on Facebook lets the problem you two are having fester and grow even bigger. #8: Don’t rely on Facebook to fill in relationship holes. Relationships that die always have holes. Lots of holes. Before your relationship becomes so unhappy and unhealthy that it dies, look at the holes that have formed and that take you and your partner apart and then make changes. The holes might be a lack of intimacy or something else. Don’t look to your Facebook friends to fill needs that are essential to a close and connected relationship. While it’s true that your partner can’t possibly fill ALL of the needs you have, there are some very basic needs, like intimacy and trust, that are required for a relationship to survive and thrive. #9: Create clear agreements about Facebook. When you do notice a pattern in the way that your partner is using Facebook, perhaps his or her flirting, create agreements about it. In fact, if you’re worried about either of you mis-using Facebook and endangering your relationship, be proactive and create agreements. Agreements are like setting up ground rules for what’s okay and what’s not okay when it comes to Facebook. Keep in mind that an agreement is not when you lay down a list of demands or set ultimatums about how things “have” to be. Boundaries can be valuable– especially if your partner is crossing a line that you won’t tolerate being crossed. An agreement is genuinely and mutually agreed upon by both of you. It is clear in terms of behavior and it is intended to help keep relationship trust and connection strong. #10: Flirt, appreciate & show your love for your partner ON Facebook. One way to keep the spark alive in your relationship is through Facebook! Feel free to flirt with your partner in your posts or on his or her wall. Be sure to post how appreciative you are of your partner, whether it’s on a special occasion or merely a thanks to him or her for being great. Show your love for your partner on Facebook in ways that will be special (and not embarrassing or offensive) to him or her. This is a fun and creative way to open you both up to more passion! 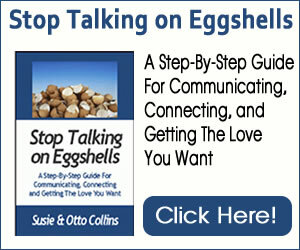 Susie and Otto Collins are relationship coaches and authors who help individuals and couples create close and connected relationships. Email Susie and Otto or call (614)459-8121.